Gina Crash returns! This time, she’s brought along her 101.9 Morning Show cohost Greg Carpenter! 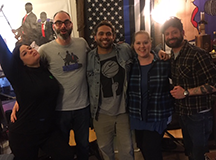 It’s another night of improv games with Katie Dunn and Tim Trueheart here on Paco’s Got Balls featuring Wendi! 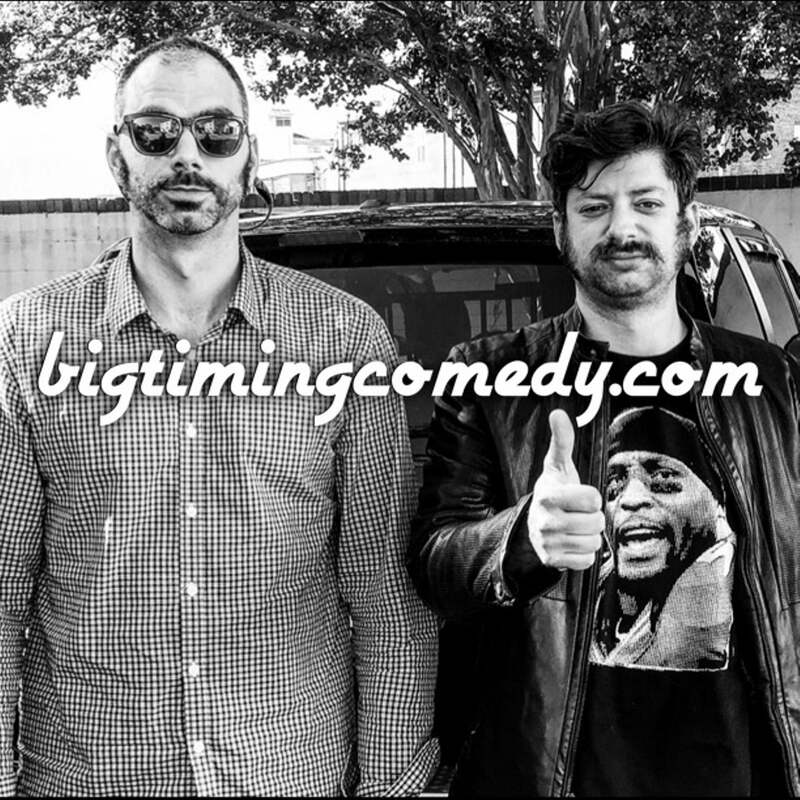 Our dear old friend Katie Dunn returns triumphantly to the Big Timing Comedy studio, and she’s brought her beau, comedian Tim Trueheart of the Jellyvision Show! 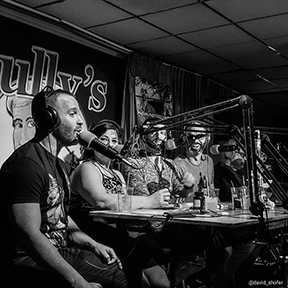 We are live at Sully’s Comedy Cellar in Parkville, Maryland with special guest Justin Schlegel of 98 Rock’s Justin, Scott and Spiegel! Listen to Justin, totally uncensored and unleashed! 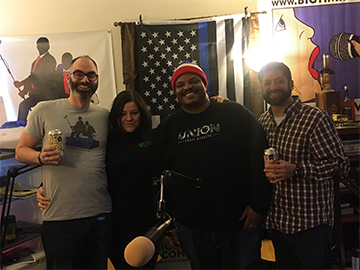 It’s time to kick back with a frosty beverage and give your ears to a brew-tiful episode of Paco’s Got Balls, honored to have co-founder of Union Craft Brewery Kevin Blodger! 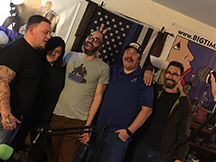 Aaron Henkin fills in for Paco again, this time to lend the crew his journalist chops when we chat with guest Connor Dykes about the rocky road that led him to pursue standup comedy. 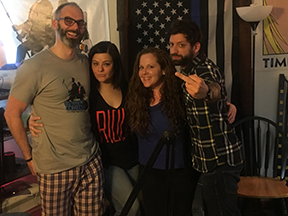 It’s a packed studio when Paco’s Got Balls featuring Wendi turns 100 episodes old! 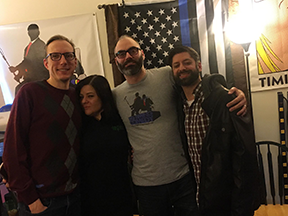 With no sign of Paco, Balls and Wendi are thrilled to welcome the Edward R Murrow Award winning producer of WYPR’s ‘Out of the Blocks’, Aaron Henkin! Plus, DJ Lightning drops by to chat, and brings cake, with comedian Connor Dykes in tow! 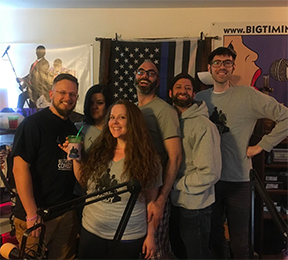 After Intern Andy finally receives his Secret Santa Gift, Wendi tells a pants- poopingly good tale, and Balls gives an update about their St. Patrick’s Day float. 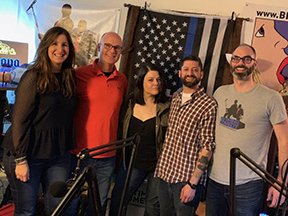 Then Aaron gets the hot seat and chats about his work on the LaughFinder podcast, how he got into the public radio biz, and shows off his tats. Here’s to another 100 episodes!